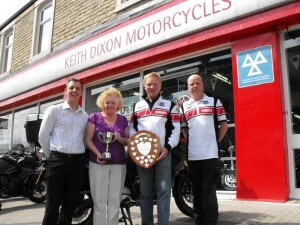 After winning in 2008 and narrowly missing out in 2010, Keith Dixon Motorcycles of Lancashire have taken the top spot once again to become the 2011 Yamaha Master of Customer Care. The Yamaha Master of Customer Care award is presented annually to the Yamaha Dealer that scores the highest on the Yamaha National Customer Satisfaction Index for both Sales and Service. 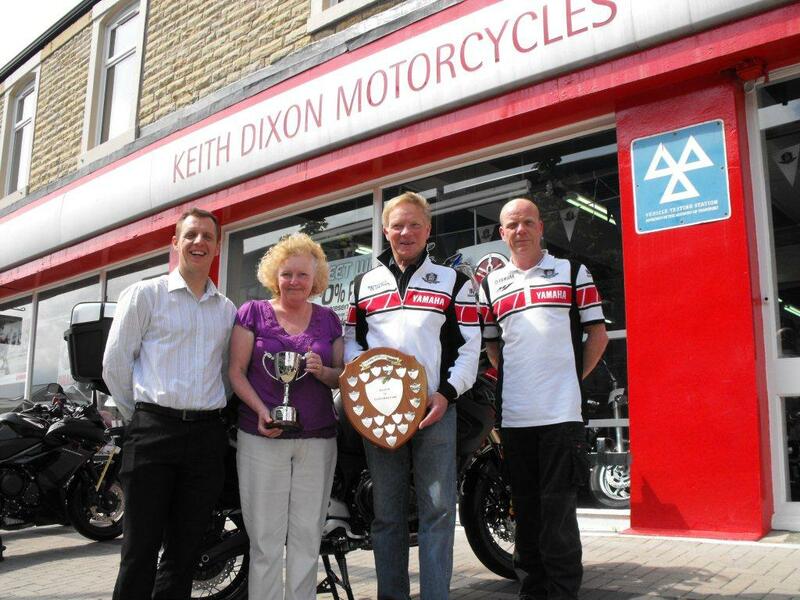 Presented by Yamaha Motor UK’s Service Manager, Nick Girling (not pictured) and National Sales Manager Stuart Swaby, Keith and Diana Dixon were thrilled to find out that their dealership had won the award for a second time. “Our goal is to provide customers with a rapid and fuss-free service that exceeds expectation with minimum inconvenience. The team are all very proud to receive the award, but it also means a lot to new and existing customers as well, assuring them of our commitment at all times. However, providing great sales and service needs to be backed by a premium product and with Yamaha that’s exactly what we have. Our job is made far easier because of the quality and reliability offered by Yamaha’s product range and the support that comes with it.” said dealer principle Keith Dixon. Yamaha Motor UK would also like to congratulate the following Dealers, who made up the remaining top five places (in alphabetical order): Damerells Motorcycles of Cornwall, Orwell Motorcycles Ltd of Suffolk, Phoenix Motorcycles of Wiltshire and TK Cope Moto Ltd of Essex.